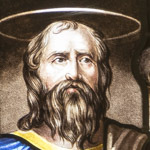 For more recent news see also the Stained Glass from Welsh Churches blog and the 'Cult of Saints in Wales' project website. 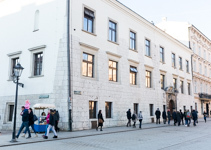 This conference gathered together scholars from six European countries and the United States to discuss recent work on post-medieval glass in each of our countries. Several national committees of the Corpus Vitrearum Medii Aevi have decided to begin to systematically record the stained glass of their countries into the modern period, rather than just their medieval stained glass. 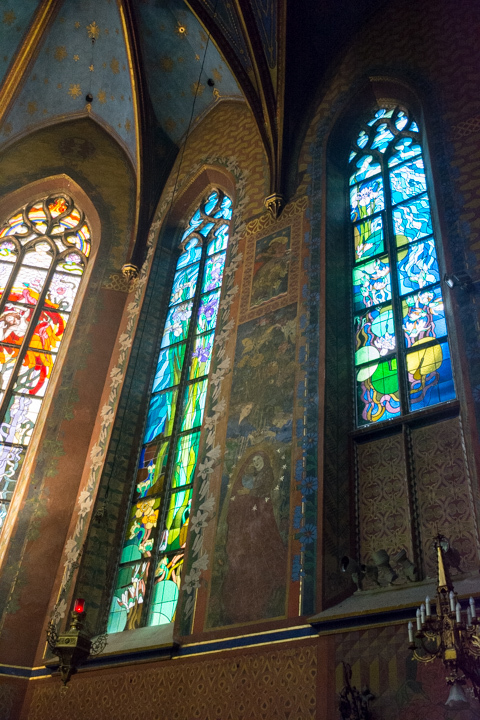 The Polish CVMA have been among the pioneers of this initiative, and have published a fine series of volumes on the stained glass in the southern states of Poland. The conference programme included visits to two churches in the city, one of which brought us face to face with fourteenth-century glass on scaffolding high in the east end of St Mary's Basilica, a church adjoining the main square. 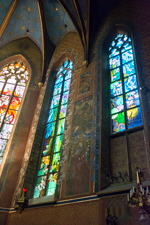 But the focus of the conference was on more recent glass and seeing the extraordinary windows by Stanisław Wyspiański at the Franciscan Church was a particular highlight (above left). The striking modernism of these windows, made over a hundred years ago, is unlike anything that was being produced for churches in Britain at that date. The artist was also responsible for extensive mural decoration of the church as well. For further information about the conference, see the review by Jasmine Allen. The first of a series of events related to the 'Vitae Sanctorum Cambriae' (The Latin Lives of the Welsh Saints) project took place at Llandaff Cathedral on 11 November. The afternoon event continued a series of events that I organised for the proceeding ‘Cult of Saints in Wales’ project in 2015 and 2016, with members of the project team and other experts sharing recent work on saints in Wales. 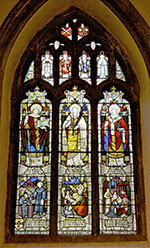 Most of the talks were held in Prebendal House, adjacent to the cathedral, but I took the opportunity to speak about the two windows in the Dyfrig Chapel that depict saints and legendary kings in Wales, one of which was commissioned by Sir William Thomas Lewis, first baron Merthyr, while the second was placed there in his memory. While the saints that became patrons of the new cathedral in the twelfth century were Dyfrig, Teilo and Euddogwy, Lewis chose Tudful and Elfan to be the main figures in the window (with Teilo), while saints associated with the Lucius legend were included in the tracery lights. I recently participated in the 'Art on the Faith Trail' initiative in June and July. 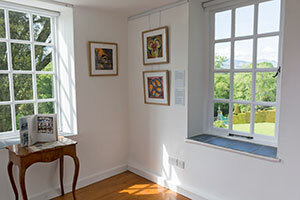 Artists exhibited their work in a number of churches in northern Pembrokeshire, as well as at St Davids Cathedral. Examples of my work were shown at Llanwnda, Llanychaer and Pontfaen, churches that are all within a few miles of Fishguard, and three pieces were included in the display at St Davids Cathedral. 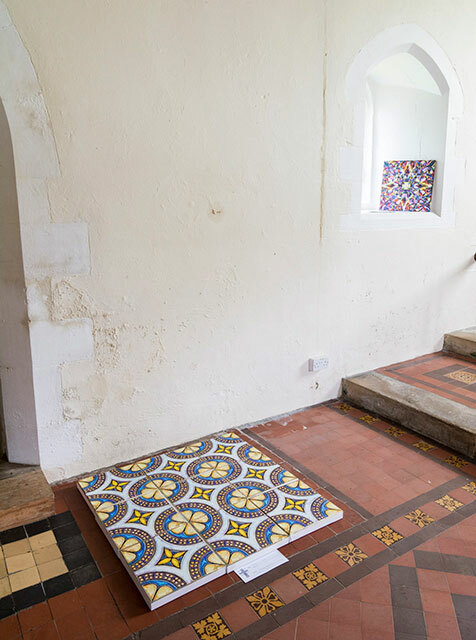 All of the work was based on various examples of medieval decorative arts found in churches across Wales, so the opportunity to show some of the pieces in church settings seemed particularly appropriate. I was also pleased to hear that in some cases services had made liturgical use of some of the pieces. I was invited to join a panel on medievalism in Wales at 'The Middle Ages in the Modern World' Conference, Manchester, presenting my research on medievalism and Celticism in the visual arts of Wales during the twentieth century. In addition to my talk I also exhibited some of my prints based on the medieval tiles at Strata Florida and the rood screen at Llananno. I was also asked if I could help out with providing an image for the conference bag, and came up with the image shown here. 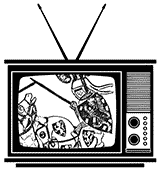 The image tried to echo the many papers analysing the representation of the Middle Ages, in its many guises, in contemporary film, television and games. In autumn 2016 I took part in an innovative group exhibition at Oriel Sycharth, Wrexham, in which thirteen artists responded to Thomas Pennant’s Tours in Wales. 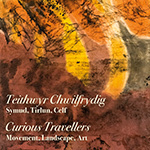 The exhibition was organised as a contribution to the 'Curious Travellers' research project by my colleagues at the Centre for Advanced Welsh and Celtic Studies, Mary-Ann Constantine and Elizabeth Edwards. My work for the exhibition was based on the rood screen and architectural sculpture at the Church of All Saints, Gresford, a church that Thomas Pennant visited and wrote about. The show was installed at the magical location of Oriel Brondanw, near Llanfrothen, and ran until 25 June 2017. The architecture, gardens and views at Brondanw are exquisite and provided a fine setting for the work. It then moved to Old College, Aberystwyth, in July, but was in an abridged form, in a smaller space. Four of the exhibiting artists gave short talks about their work on Tuesday 25 July, at Old College, in which I participated. A book of the exhibition was also published, which I designed and also provided much of the photography. It includes a double-page spread for each of the artists, an introduction, and poems by Ifor ap Glyn and Philip Gross. The book is available from the Centre for Advanced Welsh and Celtic Studies, or contact me for copies (priced £5). I gave a number of different kinds of talks and presentations during the second quarter of 2017. On 1 April, I contributed to an afternoon of talks at the Church of St Padarn, Llanbadarn Fawr: 'Padarn and the Saints of Wales'. During the preceding week, my colleague David Parsons and I gave gallery talks for the 'Stories of the Saints' exhibition at the National Library of Wales on 29 March. I was also interviewed about the exhibition for 'Sunday Matters', which was broadcast across Radio Pembrokeshire, Radio Carmarthenshire and Radio Ceredigion on Sunday 26 March. 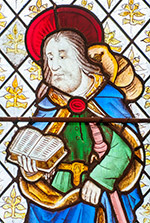 I helped to lead visits for the Stained Glass Museum Study Weekend to a number of churches in north-east Wales (21–23 April), together with Jasmine Allen, curator of the Stained Glass Museum, and Penny Hebgin-Barnes, an expert on medieval stained glass. The weekend brought me back to many churches that I had visited before, but also introduced me to some new places in Cheshire, in particular the private chapels at Cholmondeley Castle and Eaton Hall. In May I was invited to speak about medievalism in nineteenth-century stained glass at the 'Reframing Stained Glass' conference in Cambridge, organised by Gareth Atkins of the 'Bible and Antiquity Project', Centre for Research in the Arts, Social Sciences and Humanities (CRASSH). 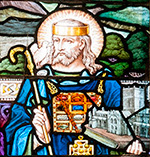 I returned to a mix of saints and stained glass for two talks at the National Library of Wales. I gave a lunchtime lecture about the imagery of saints in churches in Wales on 17 May and on 3 June I was among the speakers at a one-day conference 'Stories of the Saints'. 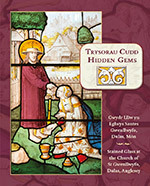 I collaborated with John Hammond on a new book about the stained glass at the Church of St Peter, Lampeter. The book was published by my imprint, Sulien Books. 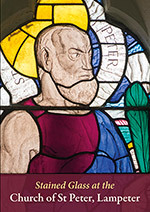 The cover of the book features the image of Peter from the impressive west window by Wilhelmina Geddes, and is among her best works. This window is one of many stained glass windows at the church, which includes work by a number of nineteenth and twentieth century makers, such as Bell & Almond, Lavers & Barraud, Robert Newbery, Ninian Comper and Powell & Sons. Copies of the book can be obtained from the church and are available from the Sulien Books website. A launch event was held in July. 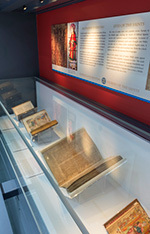 I co-curated an exhibition of medieval and early modern manuscripts at the National Library of Wales, as part of my work on 'The Cult of Saints in Wales' project. In 2017, the Year of Legends, the exhibition remembers the stories of the saints that were once plentiful in medieval Wales, although many are forgotten today. The lives of these early saints, their genealogies, and poetry addressed to them, are preserved in manuscripts that are being exhibited at the National Library of Wales. This exhibition demonstrates the survival of medieval traditions about the holy men and women who represent an important part of Welsh cultural inheritance. In addition to the manuscripts, there are other items from the National Library collection on display, and photographs of surviving medieval images of saints from my photographic archive. As well as co-writing some of the material with my colleague David Parsons, I also designed all of the interpretative material. Following the success of a recent funding application to the Arts and Humanities Research Council, my current project at the Centre for Advanced Welsh and Celtic Studies, 'The Cult of Saints in Wales', will be succeeded by a new project that begins in January 2017. This new project is based at the University of Cambridge and will be run in collaboration with the Centre, led by Professor Paul Russell. The project continues the work of editing and translating medieval texts about saints in Wales, but turns our attention from Welsh-language texts to Latin ones. The projects overlap for a few months, as the 'Cult of Saints in Wales' officially concludes in March. We are presently completing the interpretation for the forthcoming exhibition 'Chwedlau'r Seintiau' / 'Stories of the Saints' at the National Library of Wales, which opens in February. 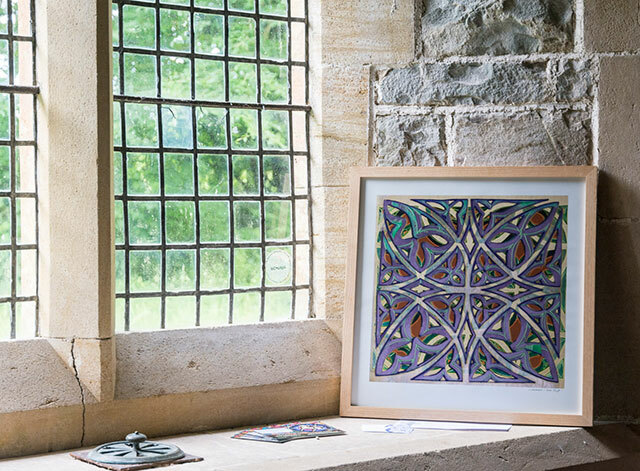 A new book about the sixteenth- and seventeenth-century stained glass at Llanwenllwyfo, in northern Anglesey, is the most ambitious book published to date by Sulien Books. The text is primarily the work of the late J.O. Hughes and his wife Catherine Hughes, and their notes were prepared by Avril Lloyd for publication, who also oversaw the translation for a parallel Welsh text. The book provides an introduction to the church and its patrons, which also explains how the stained glass was acquired by the family. There are illustrations and notes for all of the main panels. In addition, I added a section about the dating and attribution of the glass, which has been a subject of debate for the last thirty-five years or more. I also contributed an article about the sixteenth-century glass for the November issue (104) of Vidimus. Copies of the book, with parallel English and Welsh texts, can be obtained from the church or from the Sulien Books website. I have recently given lectures on stained glass in Shrewsbury and in Bangor. The lecture on 17 November at Shrewsbury Museum and Art Gallery introduced David Evans and the early Gothic Revival in the first half of the nineteenth century. This was part of the accompanying programme of events organised by the Friends of the Museum and Art Gallery to coincide with the Margaret Rope exhibition. David Evans was also relevant to the talk in Bangor for the North West Wales Art Fund at Storiel, Bangor, on the 22 November 2016. He made the figures for the east window of Bangor Cathedral in 1840 and 1843 (see my blog post about this commission), and the talk provided an introduction to the stained glass in the churches of Bangor, including those recently closed. This autumn I have participated in two group exhibitions, which opened in October. 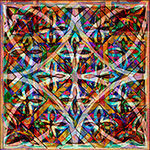 Both shows include new work based on the rood screen at the Church of All Saints, Gresford. I also spoke about the church at an event at Oriel Sycharth, with the poet Philip Gross, on 22 October, organised as part of the Curious Travellers project. The project is researching Romantic-period accounts of journeys into Wales, and I have also been contributing occasional posts for the Curious Travellers website. I participated in this year's History and Heritage section of the SGT Centenerary conference. 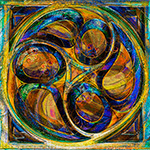 The paper considered the ways in which some of the most influential modernist stained glass artists have been influenced by medieval stained glass and sculpture. 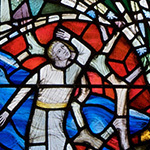 The medievalism of Victorian Gothic Revival stained glass has been well appreciated, but a continuing fascination with stained glass of an earlier medieval period by artists such as John Piper, Lawrence Lee and Wilhelmina Geddes has created competing medievalisms that have coloured our appreciation of much nineteenth- and early twentieth-century stained glass. I brought a small selection of work to the festival for a temporary show, which included images based on the panels from the screen at Llananno as well as photographs of stained glass windows from churches in Wales.